Ok, so there are two things I never thought I would talk about in a single article. You see, what I want to know is if both longboarding and great parenting can be combined on an everyday basis. It is important, for every young parent who has always been active, to find a way to move more even after the baby has born. As for the kid, it is always good to provide more fresh air and different activities. And the longboard stroller seems to be somewhere in the middle giving us the chance to combine longboarding with what I would say is the next level of parenting. 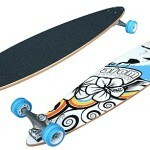 We all know that there are longboards available of different forms and lengths as well as with different specification. 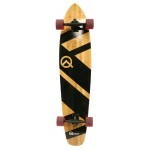 What the guys at Quinny have added yet another feature to the classical longboard. And that is a stroller for your kid. I do believe that a lot of the young parents who are into action sports have brought their kids on longboard rides. And even we can have fun together with the kid it is all jus too uncomfortable. What is more, we have to admit that it is highly dangerous! 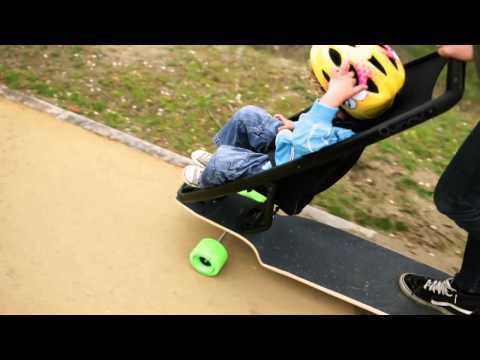 The longboard stroller by Quinny is a completely new, modern, alternative solution for urban motility. This stroller gives you the chance to cover much greater distances while you are outside with your kid. And of course, it is all fun and ECO-friendly. 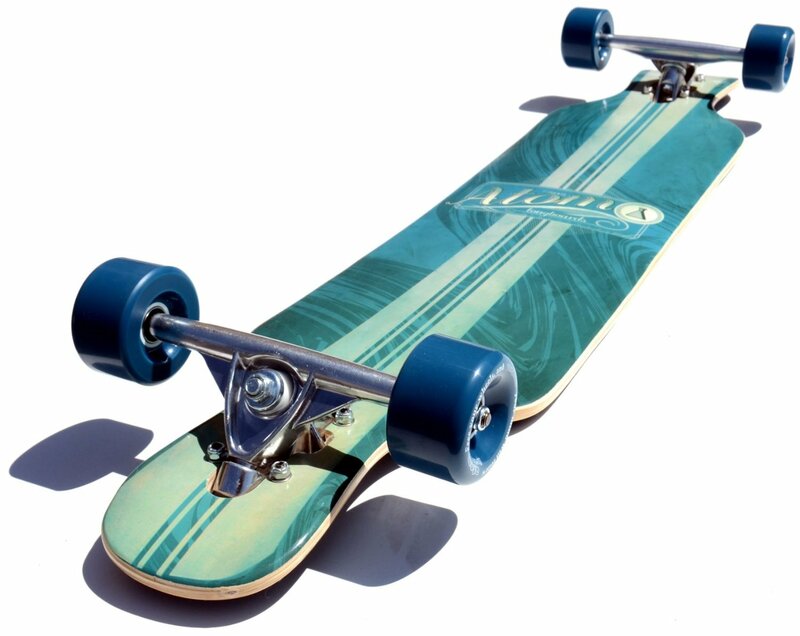 The longboard strollers deck has a drop design that situates the rider below the trucks for a lower center of gravity. Just as it works for regular longboards. For the perfect trucks collaboration with Tracker has been made. To make the each ride completely smooth ABEC11 wheels are used. This combination is designed for high speed carving, which will work great for getting around the city just great. 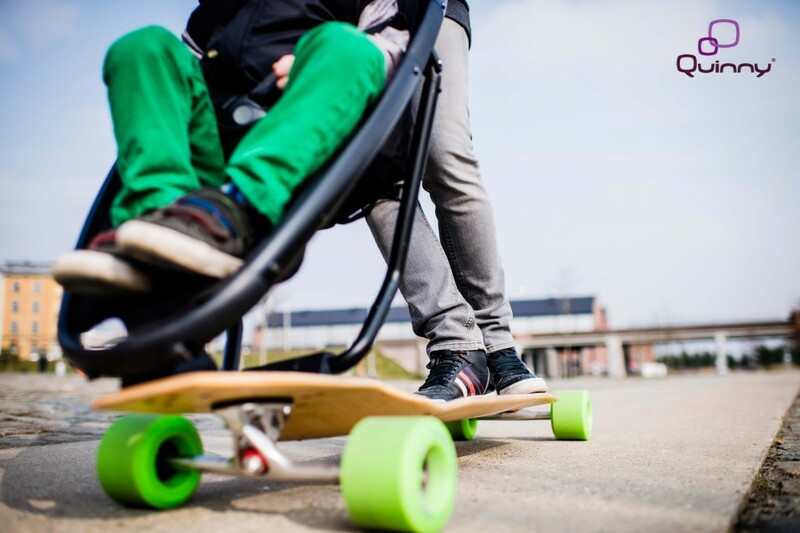 Something you will now see on a regular longboard is the hand brake and of course the modified Zapp stroller seat, which sits on the frond of the board. Quinny has priced longboard stroller at 599 Euros throughout the EU. Unfortunately, due to some vagaries around product safety laws, there are currently no plans to bring it to the USA. 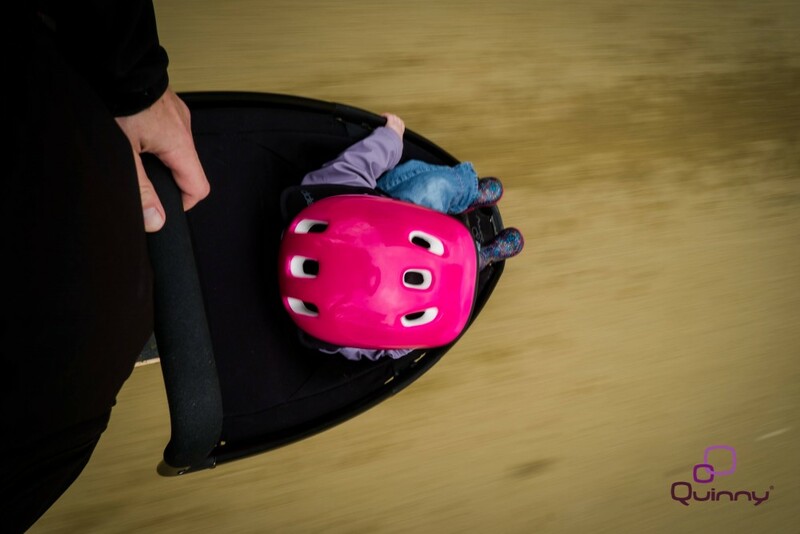 As you might already guessed, the stroller comes with a number of safety features to protect your toddler just in case the ride gets a little too gnarly. It has a safety bar that sits across the front of the buggy and a safety brake, which I mentioned before. Of course your kid should wear helmets every time you take a ride. Additional protective wear, like knee and elbow pads should be used as well. Although you do not need longterm skateboarding experience to ride the longboard stroller, Quinny does recommend, that you do a practice run first, and then do the pleasure of enjoying it with your child.